Every person experiences stress from time to time. Just the word may be enough to set your nerves on edge. Some, though, cope with stress more effectively, or recover from stressful events more quickly, than others. Some are chronically stressed and easily fall into coping strategies such as anxiety, anger, depression, overwhelm, sadness, overeating, and many others. Effec­tive stress management and emo­tional reg­u­la­tion depends on your ability to flexibly adjust your phys­i­o­log­i­cal response to a chang­ing environment. This flexibility is also referred to as resilience and can be measured via Heart Rate Variability (HRV). What does flexibility look like? SweetBeatLife measures these 2 branches of the Autonomic Nervous System via LF (Sympathetic/fight or flight) and HF (Parasympathetic/rest and digest). While a healthy balance of LF and HF power is a ratio of 1:1 to 2:1 respectively, many customers find that their LF response is consistently 5x, 10x, and even 20x greater than their HF response! In addition, many people show LF power levels in the thousands while their HF power numbers are in the low hundreds. We even see LF readings in the hundreds and HF of less than 100. These low readings are indicative of chronic stress. …you can re-wire your nervous system, increase your power numbers (and your resiliency) and measure your progress via HRV. How? By using Centerpointe Research Institute’s Holosync® audio technology in combination with the SweetWater Health iPhone app called SweetBeatLife. Holosync® audio technology provides a super-enriched environment for your nervous system, causing enormous, beneficial changes in the brain. SweetBeatLife is the easiest and most accurate way to measure your HRV and track the changes in your nervous system as you progress through the Holosync® program. By creating resilience via Holosync® meditation, people and situations that used to stress you no longer affect you the same way. Your nervous system becomes more balanced and resilient. Holosync® is an audio technology you listen to using stereo headphones, which enables the left and right brain hemispheres to be targeted separately. By gently altering the electrical patterns in your brain, Holosync® creates states pf profoundly deep meditation usually only experienced by advanced meditators meditating for several decades (e.g. Zen Buddhist Monks). Holosync® is based on research by Dr. Gerald Oster of Mt. Sinai Medical Center, a pioneer of the effects of binaural beats on the brain, and the world-famous Menninger Clinic. 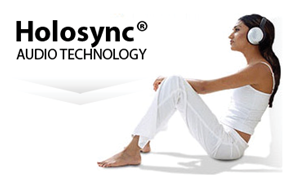 Holosync® has been around for twenty-five years, and has been used by over two million people in 193 countries. Most people know that an EEG measures the different frequencies of electrical brain activity. Alpha brain frequencies are associated with relaxation, focus and concentration and enhanced learning ability; theta frequencies with dreamless sleep, creativity, and visionary meditation experiences; and delta frequencies with deep sleep, access to the unconscious mind, and charisma and persuasiveness. It is believed that in these brain wave patterns, usually experienced during sleep, the nervous system and body repair and recover from the previous day’s stressors. Research has shown that meditation alters the alpha, delta and theta EEG patterns significantly, thus aiding nervous system repair and recovery. Holosync®, by directing specific sound frequencies to each brain hemisphere, gently creates alpha, then theta, and delta brain patterns. Your brain responds by creating new neural pathways linking the left and right hemispheres and similar links between the amygdala (the brain’s more primitive emotional center) and the pre-frontal cortex (the source of executive control). This enables the Holosync® user to mitigate emotional reactivity and self-sabotaging behaviors as well as experiencing the other benefits of deep meditation, but without the long learning curve. 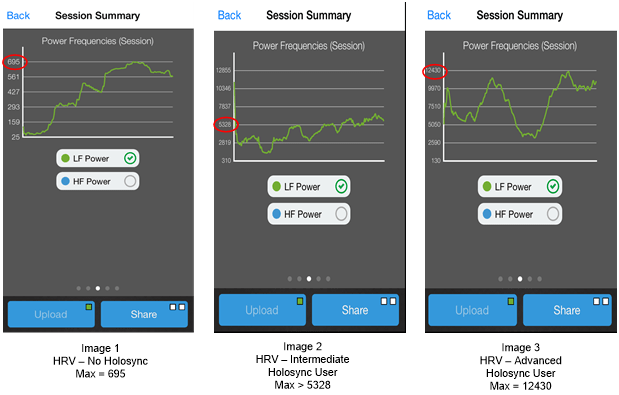 Below are some examples of HRV measurements during meditation using SweetBeatLife. While HRV is dynamic and not the same for everyone, there are average ranges for the general population. Image 1 (below) is from an individual meditating without Holosync®, and who has never used Holosync®. Notice the HRV maxed out at around 695. Image 2 is from an intermediate Holosync® user during Holosync® meditation. During this session the HRV was more than 5400 (higher HRV is a sign of higher nervous system flexibility). The advanced Holosync® user shown in Image 3 maxed out at 12,430 during a Holosync® meditation, clearly signifying a very high and healthy nervous system. As you can see, the Holosync® users show a significant difference in HRV, a difference enabling them to navigate life’s challenges with more flow and happiness. SweetWater Health and Centerpointe Research are partnering to study the effects of Holosync® on HRV. We’re looking for a limited number of SweetBeatLife app users to participate! Each participant will receive a free personalized HRV assessment valued at $100.00 consisting of a brief assessment at the beginning of the study and a comprehensive report when the study concludes. If you’re accepted to participate, you’ll not only get the above assessment, you’ll also contribute to scientific understanding of HRV, its relationship to stress and resiliency, and the effectiveness of Holosync® meditation in improving both. To participate, you must have the SweetBeat or SweetBeatLife app and a supported heart rate monitor, and you must purchase Awakening Prologue, the initial level of the Holosync® program ($179 for CDs or $159 for downloadable MP3s). Centerpointe Research even offers an unheard of one-year money back guarantee on Awakening Prologue. They have millions of satisfied customers around the world (including me—I’ve been using Holosync® for 6 years). To apply for participation, click here. Even if you aren’t interested in participating in this study, we strongly suggest that you try Centerpointe’s Holosync® program. It will improve your overall HRV—and give you many other mental, emotional, and even spiritual benefits associated with meditation. Please check out their website. This entry was posted in Balance Your Nervous System, Change your behavior, Change your brain, Heart Rate Variability, Stress, Uncategorized and tagged autonomic nervous system, beathealthy, biofeedback, centerpointe, health, heart monitor, heart rate, holosync, meditation, stress, stress reduction, SweetBeatLife on January 15, 2015 by sweetwaterhrv. How did the person’s HF (parasympathetic system) respond? I have pretty good LF (I vary between the second picture and third picture for my readings) but HF is always low despite mediation, heartmath etc, so am interested in ways of boosting HF specifically. Thanks! How would you suggest increasing baseline, or resting HRV? Things i am trying : acupuncture, meditation, yoga, self-hypnosis, cold showers. Those all sound like great options. 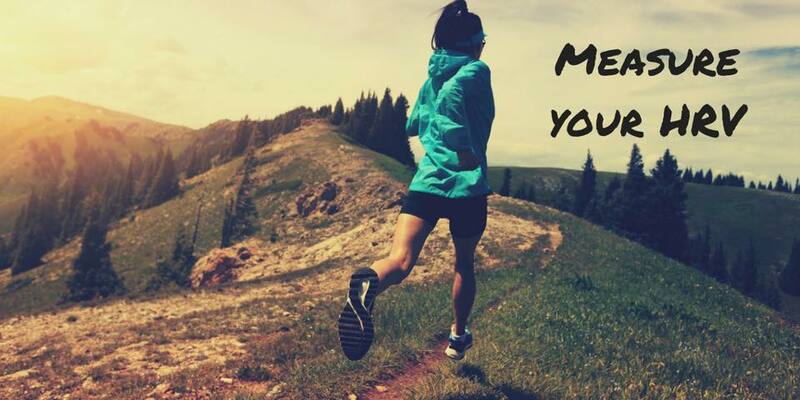 If you do not exercise regularly, that can help, too. If nothing seems to change your numbers at all, you might have a block in your autonomic nervous system. We are not doctors and do not diagnose. If you are worried about your health, we recommend seeing your physician.